Smooth, Steady and Noiseless Videos:Powered by the 5th Instune Algorithm System with 3 brushless motors, 3 axis 360 degrees unlimited rotation. 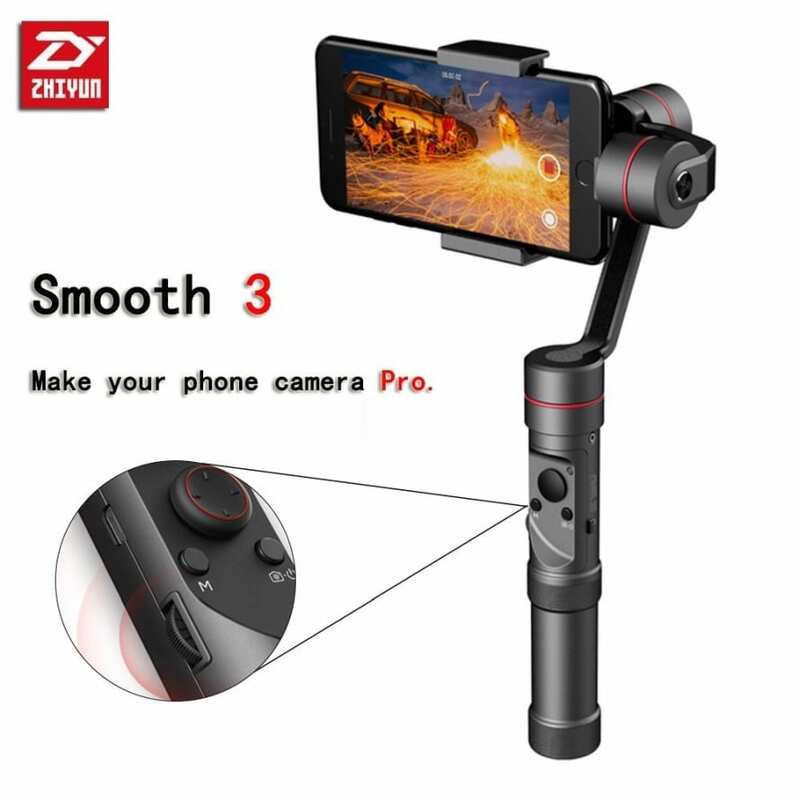 Innovative Handwheel for Precise Camera Settings: Smooth 3 brings various delicate camera settings, such as long exposures, ISO, white balance, shutter speed and focus, to your fingertips. Military-industrial Quality:Contrary to the “Q” version, Smooth 3 is made up of high-quality aluminium processed thru CNC in order to ensure robustness and lightness. Get ready in just 1 min:With Quick Release Design, Lever Balance System and all Tool-less thumbscrews, small adjustments can be made without faffing around with screwdrivers or keys.